How To Get Salon-Fresh Waves & Volume At Home. I have so many plans for different kind of blog posts but I always find myself putting them off – they’re just different to what I usually post, and I’m scared that neither myself nor you guys will be happy with the results… but I hope you like this! 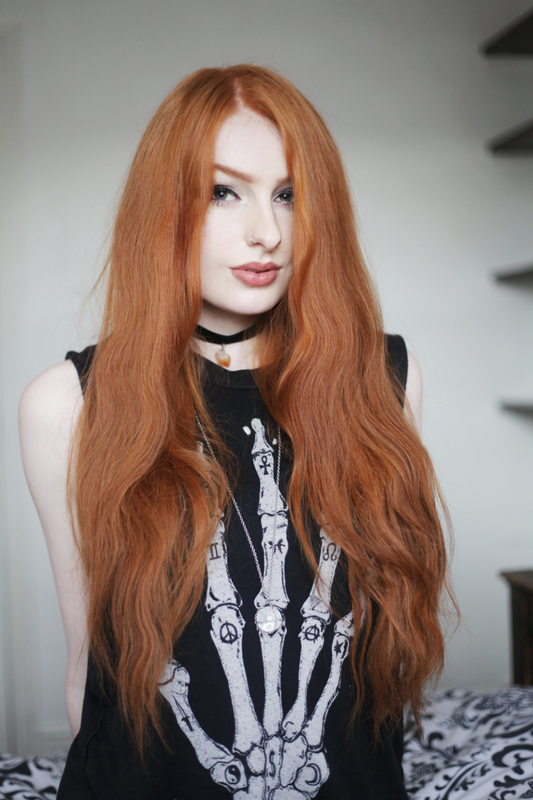 I know a few hairdressers, and whenever I’ve asked them about blow drying, (as someone with naturally flat-as-a-pancake hair, I needed tips!) they always say the same thing; the best thing you can do for getting that salon look at home is use a good hairdryer. 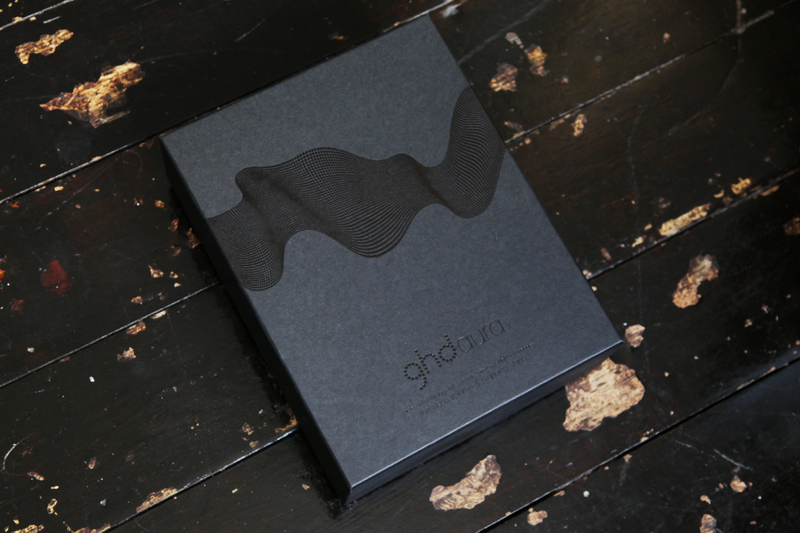 Now, in my less-than-professional opinion, I cannot stress how true I have found this, since I have been lucky enough to get my hands on this ghd hairdryer. Blow drying takes half the time it used to, my hair feels healthier, shinier and actually kind of thicker! 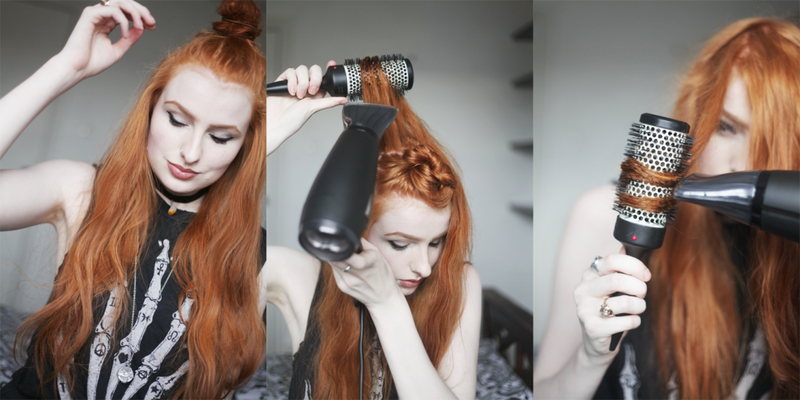 See below for some pre-tutorial pictures of the hairdryer- it’s so cool (especially the bit on the back ^.^’ ). If I had to pick out any negatives, I would say that it’s a teensy bit heavier than the usual hairdryers, as I’m using it for half the time, it’s not really a problem at all! Now on to the tutorial itself! Starting with towel-dried hair, put volumising mousse through your hair, from roots to end. I’m using a Loreal Elvive one and it’s pretty good – it doesn’t inject quite as much volume as others I have used, but it doesn’t leave any of that sticky feel in your hair like so many mousses can do! Rough dry your hair so it’s nearly dry but damp (around three quarters dry? )- just use your hands and hairdryer at this point and get it dry enough to style! Focus on roots & getting volume into hair- dry upwards as I’m doing here (tipping your head upside down is the easiest way though, I find! Just looks a bit messy for pictures, ha). Then divide your hair into sections -don’t part it yet as your hair will stick in this parting and you will lose volume. When dividing your hair up, bear in mind that smaller sections work better for thicker hair, and the sections should not be wider than the brush or deeper than the bristles! We’re starting at the bottom tier, so clip/tie everything else out of the way. Starting with the roots, wrap your hair around the brush once -it shouldn’t tangle if you’ve brushed through it! Always be wrapping hair around the brush away from the face/outwards, and focus on drying that section. Once dry, go to the mid section of the piece, and then the ends. Dry the hair upwards for maximum volume, and in the same direction as the hair is pointing for ultimate shine! BRUSH NOTE – I’m using this Denman brush that has quite a larger barrel and I want a soft wave and have long hair, but if you have shorter hair or want a tighter curl, it may be more beneficial to use a brush with a narrower barrel! After completing that tier of hair, pull down the next row of sections (the number of rows you will have depends on the thickness of the hair/ how much you have). I am aware I look like a crap Teletubby at this point, but I promise it does get better! Carry on with the same technique all the way round until you get to the crown. A little bonus tip for an curls boost – give your hair a bit of a scrunch after you finish drying it, and give it a quick spritz with hairspray. I like to do this as my hair is so flat that these curls will fall a bit so this is my way of trying to hold on to some waves so my hair isn’t poker straight! When you get to the crown, I like to separate it into 3 sections; the back of the crown, the mid-crown and the front bit (or the fringe, for folks with a fringe!). For the first two bits, just do the same technique as before, in as much of an upward direction as possible. 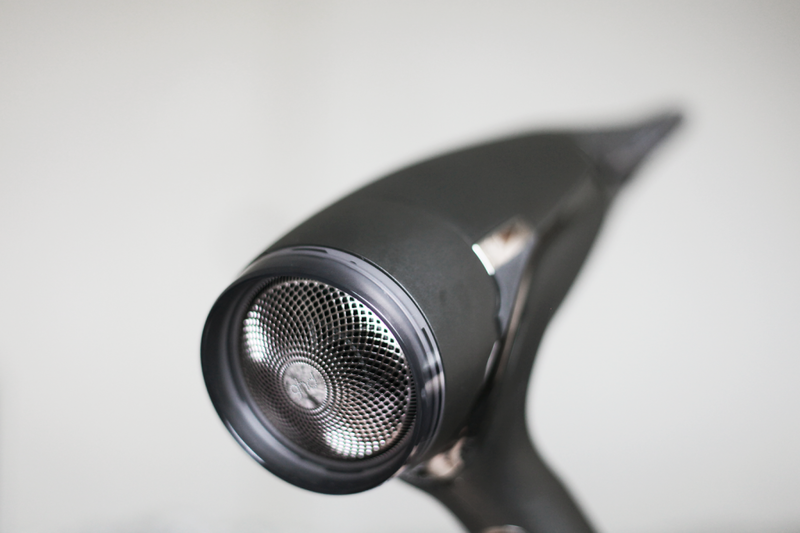 Remember to point the dryer nozzle in the same direction as your hair as much as possible- it’s pretty difficult at this point, but you’ll get that salon-fresh lustrous finish to your ‘do if you manage it! As for the last front bit – if you have bangs/a fringe, this is the point where you would dry them. Just dry this bit as you know how, every fringe sits differently, after all! I don’t have a fringe, but as my front bits are slightly shorter, I sometimes like to (once I’ve done the usual routine) wrap the hair back up the hairbrush, and heat the brush through using the hairdryer, before hold the brush in my hair for a couple of minutes to give these front sections an extra bit of movement/wave, as I’m showing here! After all that, I lightly go over the crown again (barely pulling the hair at all!) 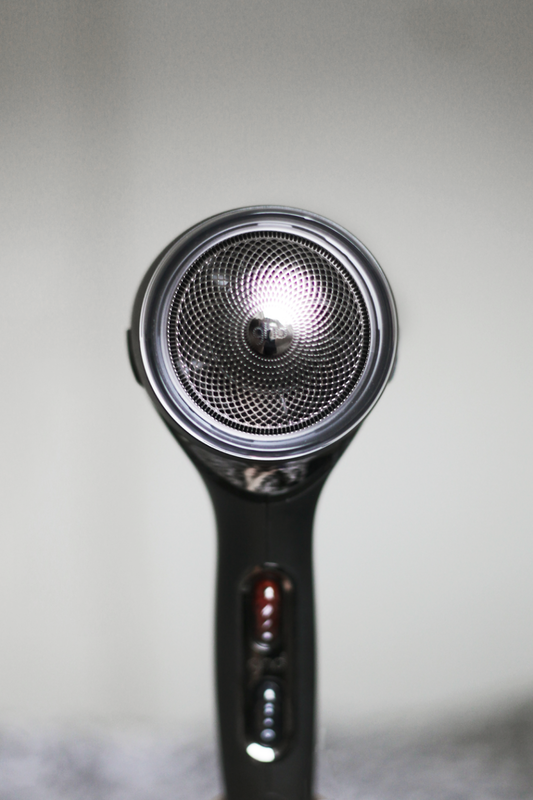 on the cold setting of the hairdryer, until the hairs are back to normal temperature. Then, just let your hair fall wherever! If I’m in a grungy mood, I’ll just leave my hair like this and blast through some hairspray to give the light waves a bit of hold. If I want to go a bit sleeker, I’ll either push all my hair back or part it with my fingers. Here I also gave my hair a light brush through without pulling (I love my Mason Pearson brush for this) just to smooth things over. And remember you can ‘scrunch’ the hair to add more to the waves before hairspraying! And then we’re all done! Bobbles / sectioning clips (you just need anything to keep the excess hair out of the way! I create volume simply by sleeping with a bun 🙂 Don't be afraid to try new things!! I'm sure everyone will love it. Thanks for visiting my blog, dear!! I would totally try this if i still had my long hair!! you did a great job with this tutorial, you should definitely post more "how-to" posts! Your hair is looking so gorgeous ! Nice photos too ! You have such great hair! I really should get a round brush and start doing my hair the proper way. So far I either bun, twist or braid to get it wavy. I sometimes end up with epic bedhead hair and other times with a slightly wonky looking head! WOW, WONDERFUL HAIR, AMAZING POST!! I loved reading every part of this post! So detailed! I'm off to wash my hair now! I'm excited to see more posts like this! I still love your Outfit Of The Day posts! Best ones online! My hair is getting to the long-enough-to-play-around-with stage so I'm really excited to try this and have big messy ginger mermaid waves, lol 😀 your natural red colour is stunning btw!